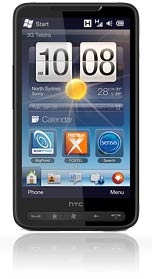 In Oz and have a hankering for the almighty HTC HD2? It's now available on Telstra's Next G network in Australia at $150 AUD upfront on a monthly $20 AUD, $30 AUD, or $40 AUD plan, or $0 upfront on other plans. Alternatively, you can pick it up for $829 AUD outright. It's available online and from any Telstra Shop around the country.